Often times, it is the smallest of details that can make the biggest difference in the world. All of us catfishermen have lost a big fish at some point in time or another due to a scale from our bait preventing the hook point or barb from properly penetrating the fish's mouth. That one tiny detail can be the one that makes or breaks a trip. Another example of a small detail that can make a big difference is keeping a journal about your fishing trips. As we get older, our memory doesn't always seem to work as well. At least mine doesn't anyways. The more time that has passed between an event and the present day, the more likely the particulars of that event are to be lost. Sure you will most likely be able to recall the size of a big fish, where you caught it, and what bait you caught it on for years to come but what about the other stuff? The current flow, weather, amount of wind and which direction it was blowing, time of day, etc. may all seem like small details in the moment but those things probably played a big factor in your success on that particular day. This is where keeping a journal comes in handy. 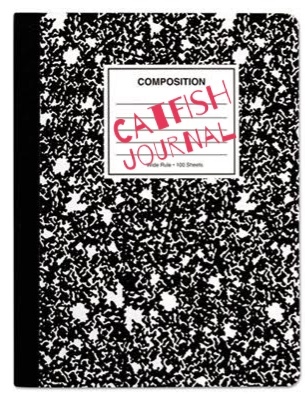 A journal can be as simple or as in depth as you want it to be. You can use a pen and notebook or just type the info into an app on your smart phone. The method you choose doesn't matter. The important thing is that you consistently log the details of your trips. This will help you to not only remember the tiny details of every trip but as the number of journal entries grow, you will start to notice trends and patterns and be able to better plan for future trips based on those past experiences. So what kind of details should you include in your journal? Listed below are a few suggestions to help get you started. Keeping a journal may seem like a small thing but it can play big dividends over the course of time. The main thing is to just be consistent with it and log every trip. Before long, you will have a wealth of knowledge available at your finger tips anytime you need it.